sipping coffee and enjoying the emptier relaxed scene was memorable and having my favorite chocolate cake to top it off.. i really loved this plate of dessert! it taste as good as it looks. im not sure how it's changed or stayed the same after almost 2 years, but the cafe also served sandwiches and pasta dishes as well as coffee and dessert. i like the more casual atmosphere during the day time. DIRECTIONS: get off itaewon station, exit 2, walk straight out for 1 block. 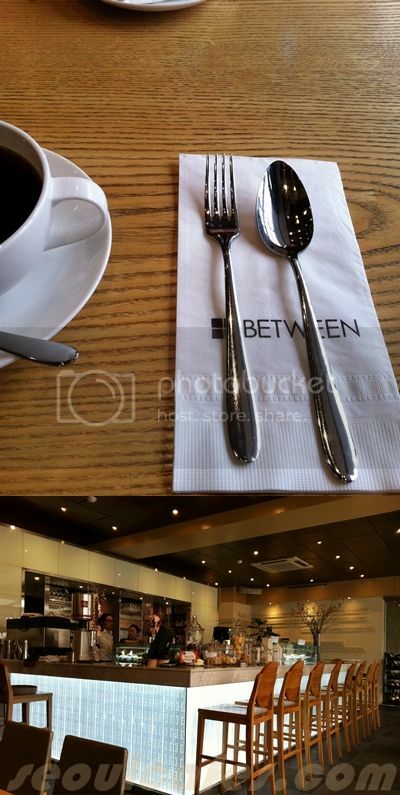 after passing Caffee Bene, it should be on your left, called BETWEEN.